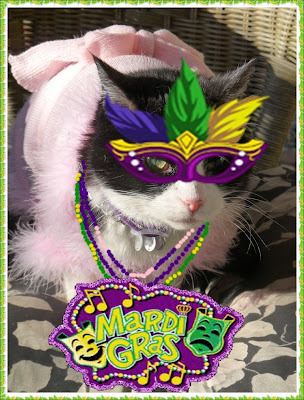 Wendy's 3-D Cats: WORDLESS WEDNESDAY: MARDI GRAS IN 3-D! Don't you all look terrific? Wow, what cool and elaborate Mardi Gras apparel! 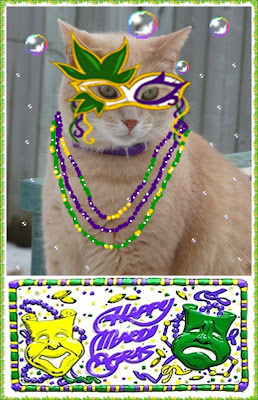 Hope you three got lots of beads! And our Congratulations to Dylan on his new special Lady! Now that is FestiveFancy fur sure! 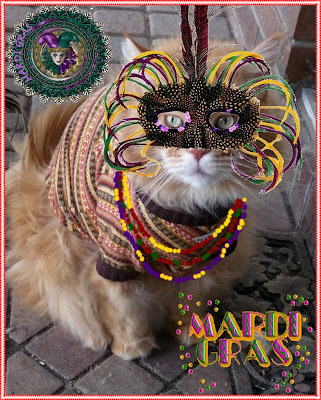 You all look very festive in your masks and beads. Very impressive masks there, you look fantastic. 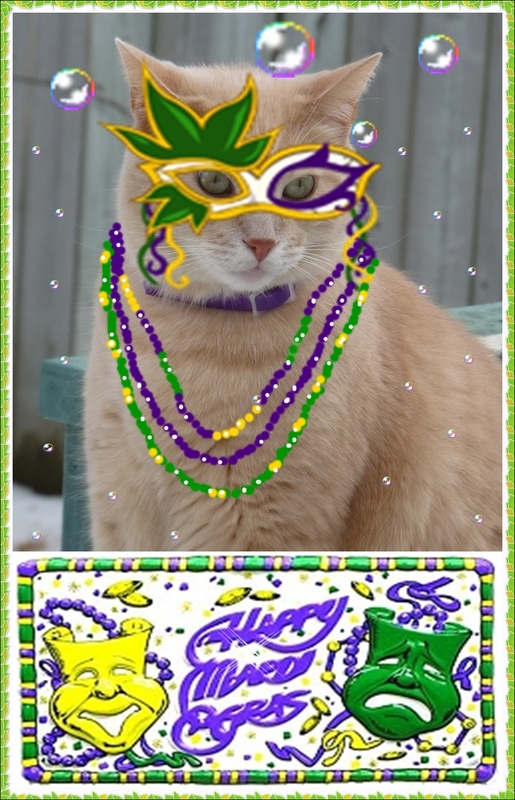 what fun and sassy mardi gras looks you all has! where is teh pawty? !